Model stitched on 28 Ct. Antique Ivory linen with Crescent Colours floss. Stitch Count: 127W x 100H. 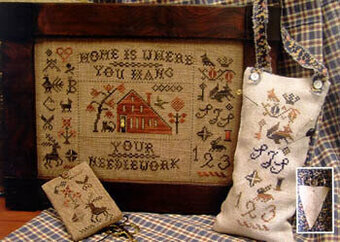 Included in this package are patterns for both the large and small designs plus enough threads to finish both pieces. Models stitched on 32 Ct. Lambswool Linen with Crescent Colours floss (Tufted Yellow, Ladybug, Brandied Pears, Cocoa Bean, Cobbled Peach, Bean Sprout, Peanut Brittle). 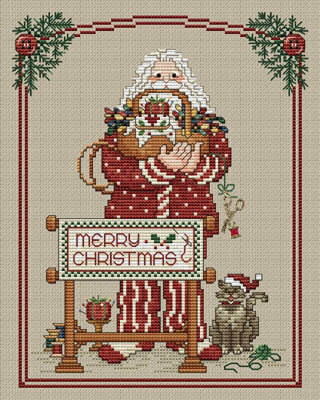 Large Design Stitch Count: 117X71. Small Design Stitch Count: 47X47. **No instructions are included for creating the finished products you see on the cover. 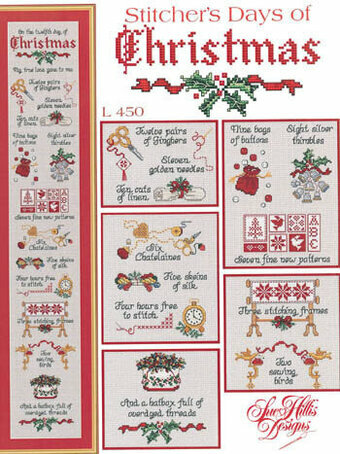 Now this is what a stitcher would like for her 12 days of Christmas!! 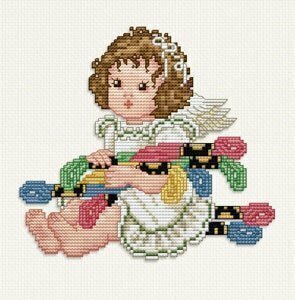 Model stitched on 28 count Antique white Lugana with DMC floss. 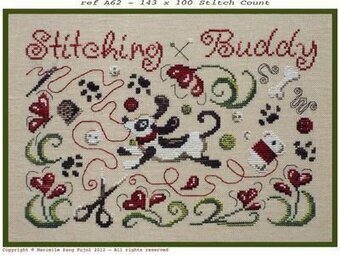 The stitch count is 79W x 490H. 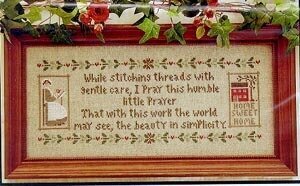 Model stitched on 14 Ct. Natural Homespun Aida with DMC floss. Stitch Count: 90W x 150H. Model stitched on 32 Ct. Light Mocha or Raw Belfast linen with Gentle Art Sampler Threads (or DMC 3865, 355, 3857, 3031, 841, 3363, 3348). 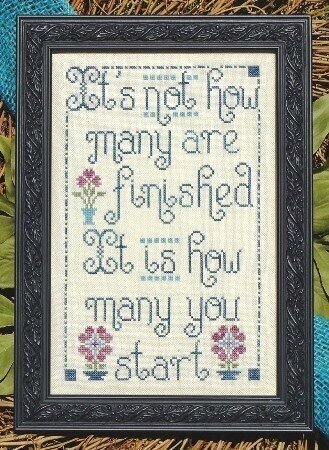 Stitch Count: 143W x 100H. 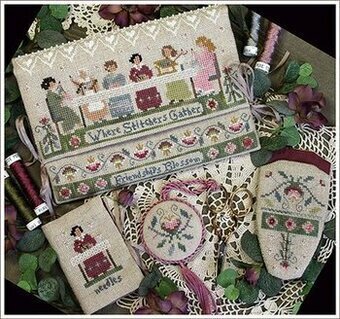 Stitcher's pocket, scissor fob, scissor case and needlebook by Thea Dueck. Pocket - Design Area: 102w x 198h. Needlebook - Design Area: 68w x 51h. Scissors Case - Design Area: 36w x 58h. Scissors Fob - Design Area: 22w x 23h. All models stitched on 28 Ct. Raw Linen Cashel with Caron Waterlilies, Gloriana Silk, Gentle Art Sampler Threads, Access Au ver a Soie, Kreinik Mori, Kreinik Braid, Appleton Crewel Wool, Needlepoint Silk, YLI silk ribbon, and SJ designs beads. 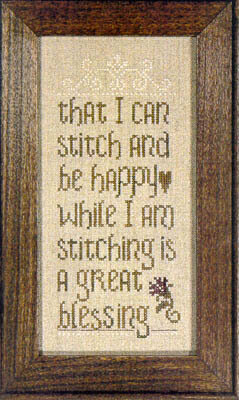 "that I can stitch and be happy While I am stitching is a great blessing"
Model stitched on 28ct. Natural Brown undyed linen using Gentle Arts Sampler Threads. Stitch count: 50w x 118h. Model stitched on 14/28 Ct. Summer Khaki Aida or Lugana with DMC floss. Stitch Count: 96W x 122H. Includes scissor and spool charms. 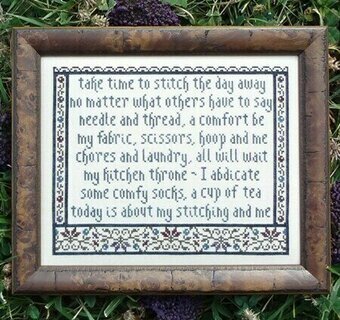 "Take time to stitch the day away no matter what others have to say needle and thread, a comfort be my fabric, scissors, hoop and me chores and laundry, all will wait my kitchen throne - I abdicate some comfy socks, a cup of tea today is about my stitching and me." Model stitched on 32 Ct. Lambswool Jobelan with Weeks Dye Works thread. Stitch Count: 147W x 114H. 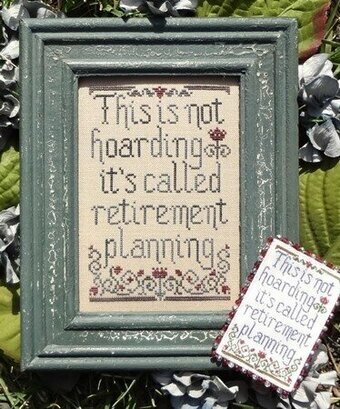 "This is not hoarding, it's called retirement planning." Model stitched on 35 Ct. Antique Lambswool linen with Gentle Art Sampler threads. Stitch Count: 67W x 103H. 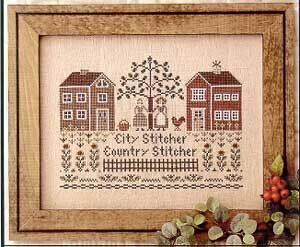 Stitchers near and far are joined together by the love of their craft. Model stitched on 28 Ct. Irish Creme linen from R&R Reproductions with DMC floss. Stitch Count: 129W x 94H. 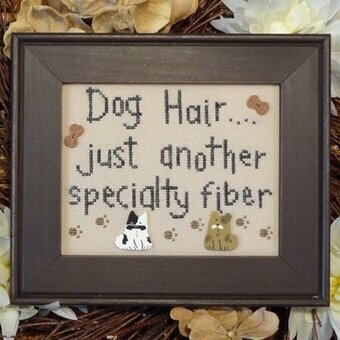 "Dog Hair....just another specialty fiber!" Model stitched on 28 Ct. Mushroom Lugana with Weeks Dye Works and DMC. Stitch Count: 77W x 59H. Buttons from Just Another Button Company sold separately. Model stitched on 32 Ct. French Lace Linen with Crescent Colours Floss, Kreinik #4 Braid, and Mill Hill Beads. Stitch Count: 105W x 142H. 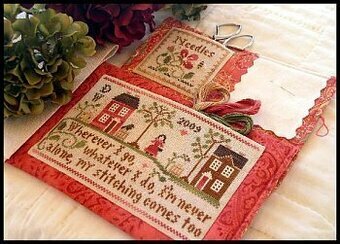 From Little House Needleworks and Shakespeare's Peddler. Includes Crescent Colours cotton thread (Timber, Stepping Stones, Hazelnut, Clay Pot, Weeping Willow). Model stitched on 32 Ct. Vintage Sand Dune from Lakeside Linens. Stitch Count: 93x145. 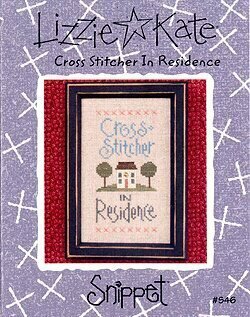 Let everyone know that a cross stitcher lives here! 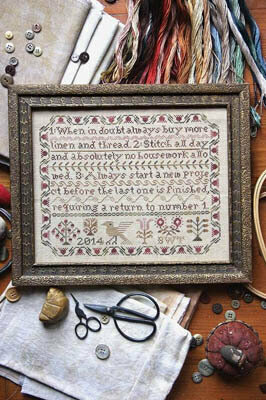 Cute snippet design stitched on 28 Ct. Flax Cashel Linen with Gentle Art Sampler threads. Stitch Count: 38W x 78H. 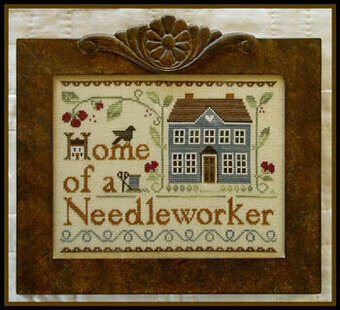 "Welcome to the home of a stitcher." Model stitched on 28 Ct. Moss Green Lugana with WEeks Dye Works floss. Stitch Count: 89x86. Comes with 2 charms. "1: When in doubt always buy more linen and thread. 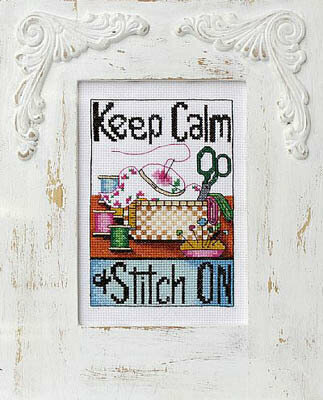 2:Stitch all day and absolutely no housework allowed. 3:Always start a new project before the last one is finished, requiring a return to number 1." 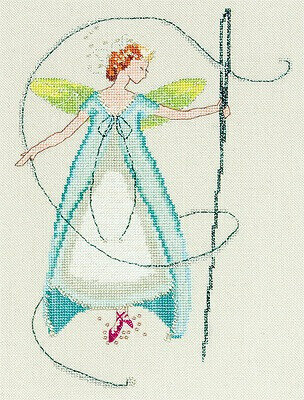 Model stitched on 35 Ct. Classic Homespun linen by R&R Reproduction with Gentle Art Sampler threads and Classic Colorworks floss. 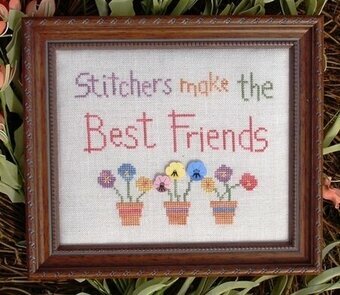 It's true you know, "Stitchers make the best friends!" Model stitched on 28 Ct. Country French Latte linen with Crescent Colours. DMC equivalents provided. Stitch Count: 88W x 72H. Flower buttons from Just Another Button Company sold separately. 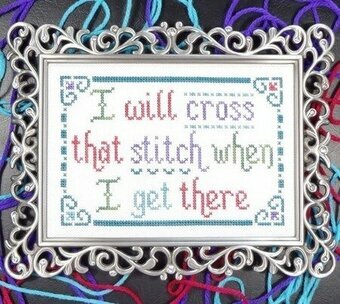 "I will cross that stitch when I get to it." Model stitched on 28 Ct. Antique White Jobelan with Weeks Dye Works floss. Stitch Count: 83x55. 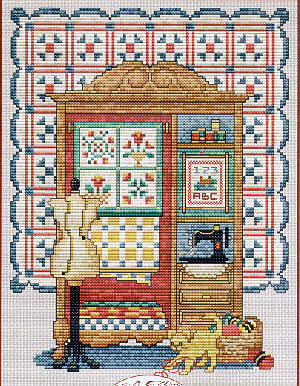 "A house is not a home without needlework." Model stitched on 28 Ct. Mushroom Lugana with DMC floss. 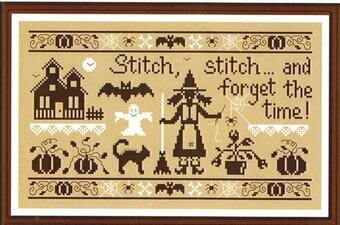 Stitch Count: 119x59. Comes with 2 charms. 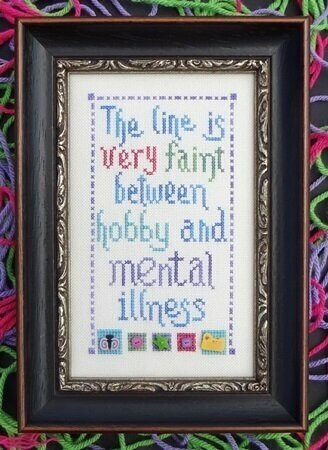 "The line is very faint between hobby and mental illness." Model stitched on 28 Ct. Ivory Jobelan with Weeks Dye Works floss and Just Another Button Company buttons (4483S, 1171S, 3361, 3369M, 3387). 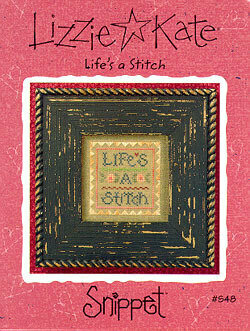 Stitch Count: 48W x 83H. "Give me a needle shiny and bright. Give me some thread from dark to light. Give me some cloth that feels just right. And I will be stitching far into the night." Model stitched on 28 Ct. Ivory Lugana with DMC floss, Weeks Dye Works floss, Kreinik #8 braid and Mill Hill treasures. Stitch Count: 81x138. 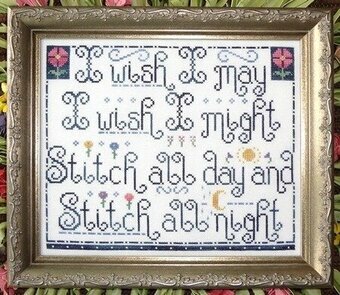 "I wish I may, I wish I might - stitch all day and stitch all night." Model stitched on 32 Ct. Antique White Jobelan with Crescent Colours floss. Stitch Count: 135W x 114H. "What a wonderful blessing - the peaceful time, the quiet hours. The rhythm of the stitching that soothes the troubled mind. The colors & designs that bring joy to the heart. The feeling of cloth & thread that delight the hands. 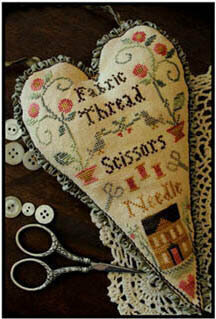 Stitching - a true blessing to the mind and heart and hands." Designed by Eileen Gurak. Model stitched on 28 Ct. Bone Lugana with DMC floss. Stitch Count: 130x130.